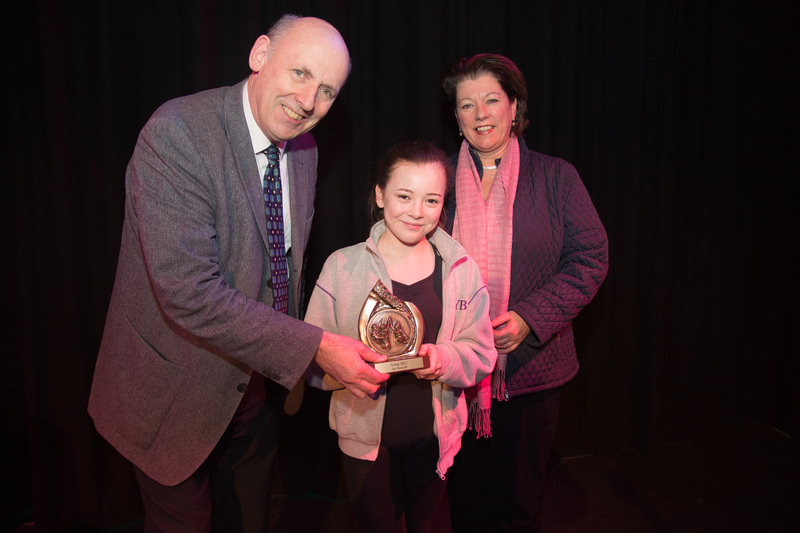 An Foras Pátrúnachta / Archive by category "Nuacht ó Scoileanna"
Bhí caighdeán thar cuimse ag craobhchomórtas Scléip Gael Linn 2017 a bhí ar siúl i mBaile Átha Cliath ar an Déardaoin, 2 Feabhra 2017. Comórtas talainne í Scléip, ina gcuirtear béim ar na healaíona comhaimseartha, agus atá dírithe go sonrach ar na hiar-bhunscoileanna lán-Ghaeilge. Chruinnigh scoláirí ó Dhún na nGall go dtí Daingean Uí Chúis, mar aon lena gcuid múinteoirí agus a gcuid tuismitheoirí, in amharclann ‘Clasach’, Cluain Tarbh, Baile Átha Cliath, do bhuaicphointe seo an chomórtais. Bhí na hiomaitheoirí uilig – suas le 300 acu – tar éis cáiliú roimhré trí réamhbhabhtaí réigiúnach, ag a bhfuaireadar comhairle ó mholtóirí aitheanta sna réimsí éagsúla. Ba iad Seán Ó Ceallaigh, Gael Linn, agus Niamh Ní Chróinín, Raidió Rí Rá, a chur an seó i láthair go paiseanta i rith an lae. Ar dtús, bhí taispeántais den scoth sna comórtais don Rince Cruthaitheach ( Aonair agus Grúpaí) ó scoláirí Choláiste an Eachréidh, Baile Loch Riach, Gaelcholáiste Chill Dara, Nás na Ríogh, Coláiste Oiriall, Muineachán, Pobalscoil Chorca Dhuibhne, Daingean Uí Chúis, Coláiste Pobail Osraí, Cill Chainnigh, Coláiste de hÍde, Tamhlacht, Pobalscoil Ghaoth Dobhair agus Meánscoil Gharman, Inis Córthaidh. Ina dhiaidh sin, bhí an comórtas Sceitse Nuachumtha, le léirithe ó aisteoirí óga an Eachréidh, Scoil Chaitríona, Glas Naíon, Pobalscoil Ghaoth Dobhair, Coláiste Naomh Eoin, Inis Meáin, Gaelcholáiste Chiarraí, Trá Lí agus Pobalscoil Chloich Cheanna Fhaola, An Fálcarrach. Ba léir ansin gur bhain rinceoirí, amhránaithe agus ceoltóirí ó Scoil Chuimsitheach Chiaráin, An Cheathrú Rua, Meánscoil San Nioclás, Rinn ó gCuanach, Scoil Chaitríona, Glas Naíon, Coláiste Lú, Dún Dealgan, Coláiste Naomh Éinne, Inis Mór agus Coláiste Pobail Osraí, sult as a bheith ar stáitse sna comórtais Slua-Amhránaíochta ansin. Mhol na moltóirí Máire Uí Mhurchú, Sile Ní Dhuibhne agus Enda Reilly an tsiamsaíocht uilig go hard! I ndiaidh am lóin, bhí na comórtais don Ceol Aonair Comhairseartha ann, mar aon leis na comórtais Amhránaíochta le Féintionlacan, do dhaoine aonaracha agus do ghrúpaí. Arís, bhí togha na tallainne ar ardán, agus scoláirí ó Choláiste Íosagáin, Baile an Bhóthair, Coláiste Chroí Mhuire, An Spidéal, Coláiste Ailigh, Leitir Ceanainn, Gaelcholáiste Mhuire AG, Corcaigh, Coláiste Eoin, Baile an Bhóthair agus Coláiste Pobail Ráth Chairn i measc na rannpháirtithe. Caithfear a rá go raibh an lucht féachana ag racáil nuair a chuaigh na bannaí ceoil ar stáitse ag deireadh an lae ! Thréaslaigh Príomhfheidhmeannach Gael Linn, Antoine Ó Coileáin agus Caitlín Ní Chonghaile, Foras na Gaeilge, leis na rannpháirtithe uilig. Bronnadh duaiseanna a bhí deartha go speisialta don ócáid ag an seodóir Neil Conway orthu uilig. Bhí Gradam Scléip 2017 le bronnadh leis ar an amhránaí/ceoltóir aonair nó ar an ngrúpa is mó a sheas amach ó na buaiteoirí uilig sna comórtais ceoil/amhránaíochta. Bhí na moltóirí ar aon fhocal go raibh an duais seo tuillte go mór ag an ngrúpa ‘Smugairle Róin’, ó Choláiste Pobail Ráth Chairn, Co. na Mí. Bhí sceitimíní ar na réalta óga glacadh leis an ngradam speisialta seo. Don chéad uair chomh maith, bronnadh duais Gradam Cheoil Nós don amhrán nua-chumtha ab fhearr sna comórtais amhránaíochta, canta ag duine aonair nó ag grúpa. Bhí lúchair ar Sonny Ní Chathasaigh, Scoil Chuimsitheach Chiaráin, An Cheathrú Rua, an t-aitheantas seo a fháil as a saothar ! Mar chuid den duais freisin i mbliana déanadh taifeadadh ar na buaiteoirí uilig sna comórtais amhránaíochta agus beidh deis ag lucht éisteachta raidió deis iad a chloisteáil ar leithéidí Raidió Fáilte, Raidió Rí Rá, Raidió na Life agus Nósamach anseo. Thar ceann Gael Linn, ghabh Seán Ó Ceallaigh buíochas leis na múinteoirí a spreag na daltaí le bheith páirteach sa chomórtas. 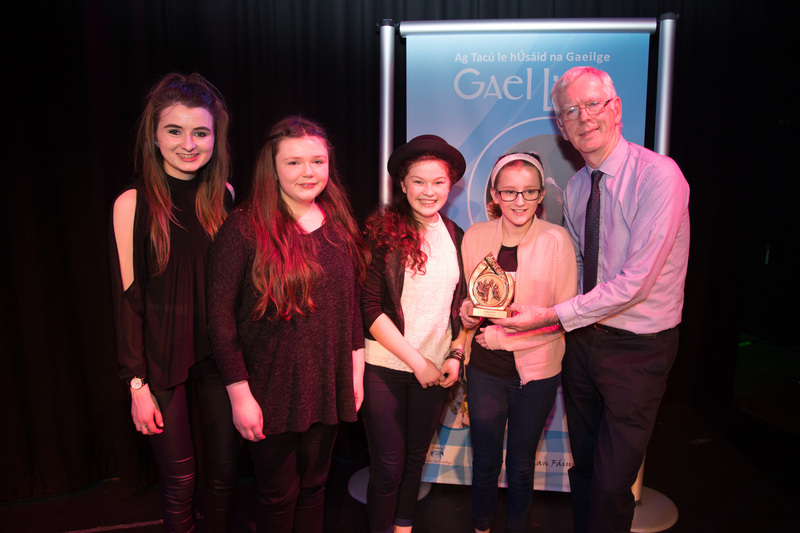 ‘Tá Gael Linn an-sásta leis an líon scoileanna Gaeltachta agus an líon Gaelcholáistí a ghlac páirt i mbliana. Bíonn an claonadh ann i gcónaí an ceol agus an rince thraidisiúnta a lua leis na scoileanna sin ach léiríonn Scléip go bhfuil neart ceoltóirí agus rinceoirí comhaimseartha iontu freisin. Tá sé go hiontach go bhfuilimd ábalta ardán a thabhairt dóibh’, a dúirt sé. 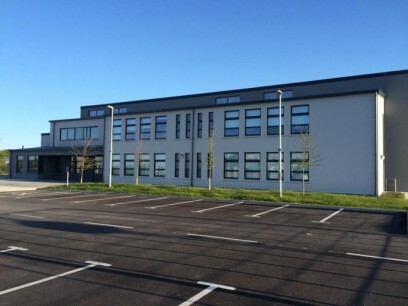 Gaelscoil na Fuinseoige, Ireland’s newest Irish-medium primary school is set to move into the premises being vacated by the closing of Notre Dame private school in Churchtown, Dublin 14. The Department of Education confirmed that Gaelscoil na Fuinseoige will take long-term occupancy of the building by September 2018 at the latest. The co-educational and multi-denominational gaelscoil opened in September 2016 after a competitive patronage selection process, and has been temporarily based in Clonskeagh. Speaking today, Caoimhín O’hEaghra, General Secretary of An Foras Pátrúnachta, the school’s patron said: "This site is a perfect fit for Gaelscoil na Fuinseoige. The facilities are second to none and we are fortunate to have a first class team in place in the school. We would like to sincerely thank all of the parents in the area who supported our campaign. Principal, Aisling Uí Fhéich, welcomed the announcement saying: “This gaelscoil is open to everyone, and we look forward to welcoming children from different nationalities and backgrounds to Gaelscoil na Fuinseoige. The benefits of immersion education are well documented – students perform better academically, find it easier to learn a third and fourth language and also recent research indicates that students learning through Irish are achieving higher results in English and Maths. “This premises has a long history of excellent education provision in this region and we are delighted to continue to provide the highest standards to our own students”. Demand for Irish-medium education in South Dublin is huge with over 2,000 children being turned away every year from the existing schools. An Foras Pátrúnachta is currently campaigning to establish a multi-denominational gaelscoil in Dún Laoghaire in 2017. For more information, visit www.foras.ie. Interviews with An Foras Pátrúnachta General Secretary, Caoimhín O’hEaghra available on request. About An Foras Pátrúnachta: An Foras Pátrúnachta is the largest patron for Irish medium schools in Ireland at both primary and secondary level. An Foras Pátrúnachta schools have a range of multi-denominational, inter-denominational and denominational ethos and seek to develop, strengthen and promote education through the medium of Irish throughout the country. Find out more about An Foras Pátrúnachta here: www.foras.ie. Follow An Foras Pátrúnachta on Facebook and Twitter. Tá An Foras Pátrúnachta, an pátrún is mó ar scoileanna lán-Ghaeilge in Éirinn, roghnaithe mar iontaobhaí ar mheánscoil nua i bPort Laoise i bpáirtnéireacht le Bord Oideachais agus Oiliúna Laoise agus Uíbh Fháilí. D’fhógair an tAire Oideachais agus Scileanna, Richard Bruton TD an toradh inniu (03.11.16) ar an gcomhiarratas. Osclóidh an scoil ilchreidmheach agus comhoideachasúil i 2017 agus beidh suas le 1,000 dalta ag freastal uirthi amach anseo. Beidh aonad lán-Ghaeilge mar chuid den scoil úr. Den chéad uair, tá sé beartaithe go bhfásfaidh an tAonad ina Ghaelcholáiste neamhspleách faoi chomhphátrúnacht an dá eagraíocht. Tá Ard-Rúnaí An Foras Pátrúnachta, Caoimhín Ó hEaghra, ar fáil le haghaidh agallaimh ach é a iarraidh. Maidir leis “An Foras Pátrúnachta”: Is pátrún náisiúnta é An Foras Pátrúnachta ar bhunscoileanna agus ar mheánscoileanna araon a bhfuil raon éitis spioradálta acu i.e. ilchreidmheach, idirchreidmheach nó caitliceach. Is é mar aidhm acu ná oideachas trí mheán na Gaeilge a fhorbairt, a láidriú agus a chur chun cinn ar fud na tíre. www.foras.ie Lean An Foras Pátrúnachta ar Facebook agus Twitter. Is onóir ollmhór do Ghaelcholáiste an Phiarsaigh go mbeidh an deis acu an dráma “An Filleadh” leis an scríbhneoir clúiteach Alan Titley a léiriú in Amharclann na Mainistreach ar an 28 Márta, 2016 (Luan Cásca) ag 4.00i.n. Beidh cead isteach saor in aisce chuig an dráma seo ach beidh gá le ticéad. Is féidir ticéid a fháil ach cuairt a thabhairt ar an nasc seo thíosghreamaithe. Beidh pobal na scoile thar a bheith buíoch ach an t-eolas seo a scaipeadh le do theagmhálaithe féin. Is dráma é seo a bheidh oiriúnach do gach aoisghrúpa. Tá tuilleadh eolais ar fáil ó Phríomhoide an Choláiste, Joe Mac Suibhne, ar 01-4933335. D’oscail Gaelscoil Phádraig i 1995 agus tá an scoil ag ceiliúradh 20 bliain. Tá na daltaí, a dtuismitheoirí agus a múinteoirí, agus pobal na scoile an-bhródúil as an Gaelscoil seo i gceartlár Baile Breac. Ach tá an scoil seo ag feitheamh 20 bliain le foirgneamh buan. Tiocfaidh na daltaí agus a dtuismitheoirí, na múinteoirí agus pobal na scoile le chéile i gclós na scoile in Ascaill Shíleann, Baile Breac Dé Luain 25ú Eanair ag a haon a chlog, chun aird a tharraingt ar an mhoill go léir leis an bogadh isteach san fhoirgneamh buan. “Sa bhliain 2005 leag an Roinn Oideachais foirgneamh buan amach do Ghaelscoil Phádraig“, a deireann Cathaoirleach an Bhord Bainistíochta Hilda de Róiste. Cuireadh i n-iúl dúinn ansin go mbeadh scoil eile ag bogadh isteach san fhoirgneamh sin go sealadach.” 11 bhliain níos déanaí leanann an socrú sealadach sin. “Tá an t-ádh orainn go bhfuil gaelscoil againn i mBaile Breac,” a deireann ionadaí na dtuismitheoirí ar an mBord Bainistíochta. “Ach tá dearmad déanta ar Ghaelscoil Phádraig leis na blianta fada”. Eagraíodh an lá scoil ag Cumann na dTuismitheoirí chun léitheoireacht a chur chun cinn agus airgead a bhailiú don scoil. 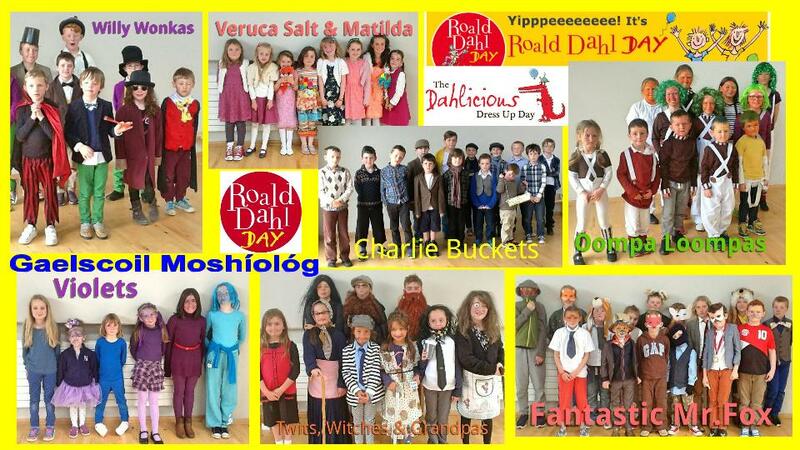 Bhí pobal na scoile ag céiliúradh leabhair Roald Dahl trí chlár d'imeachtaí spéisiúla. – Ticéad Órga: Phioc gach múinteoir ainm as an hata dá rang féin agus fuair an dalta sin ticéad órga. Aoíeanna speisialta a bhí sna daltaí seo ag an díolachán cístí agus fuair siad cístí saor in aisce! – Léirmheas leabhar: Scríobh na páistí (agus roinnt tuistí) léirmheasanna faoi leabhar de chuid Roald Dahl. Bhí an-spraoi ag gach duine ar an lá. Deis den scoth a bhí ann na páistí a chur ag caint agus ag scríobh faoi shaothar Roald Dahl. Tá comhghairdeas mór ag dul go sárdhalta scoile i nGaelscoil Bhun Cranncha agus is í sin Aoife Nic Reachtain. Tá Aoife díreach i ndiaidh Rang a 6 a chríochnú sa scoil. 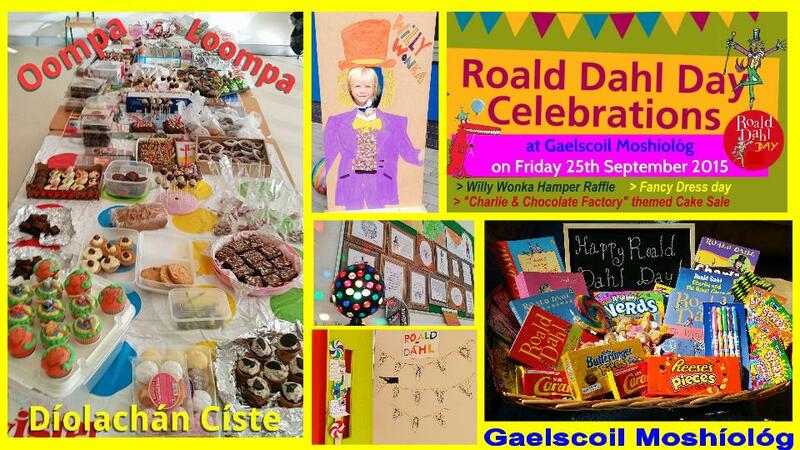 Tar éis di ocht mbliana a chaitheamh sa scoil níor chaill sí oiread is lá amháin scoile. Bronnadh teastas uirthi le déanaí as an éacht seo a bhaint amach. Tá an-áthas ar An Foras Pátrúnachta agus ar mhuintir Ghaelscoil Éadan Doire go bhfuil an scoil nua ag oscailt go hoifigiúil. “Ré nua é seo dúinn anois”, a dúirt Póla Ní Chinnsealaigh, príomhoide na scoile. Ghlac Uachtarán na hÉireann, Mícheál D Ó hUigínn, le cuireadh ó Bhord Bainistíochta Ghaelscoil Chloch na gCoillte le freastal ar cheiliúradh 20 bliain na scoile. Beidh an lá speisialta ar siúl ar 11 Meatheamh, ach tá céiliúradh na scoile ar siúl ó mhí Mean Fómhair. D'oscail doras na scoile don chéad uair ar 1 Mean Fomhair 1994, agus ó thús na scoilbhliaina ta eachtraí éagsúla eagraithe taobh istigh den scoil leis na chéad 20 bliain den Ghaelscolaíocht i gCloch na gCoillte a cheiliúradh. Beidh píosa ealaíne, a choimisiúnaíodh go speisialta don ócáid, á nochtadh ag an tUachtarán mar chuid dá chuairt. Chuir 15 ealaíontóir isteach ar an "Per Cent for Art Scheme". Bhí an bua ag píosa dealbhóireacht, déanta ag an ealaíontóir áitiúil Édaín Ní Dhomhnaill. Bíonn ceardlann idirghníomhach á rith aici i measc a hobair ealaíne. Tá an Bord Bainistíochta Cairde na Scoile, na páistí agus an foireann an-gnóthach agus iad ag réitiú don lá iontach seo. Lá bródúil i stair na scoile a beidh ann. ​​Tá buíochas mhór á ghabháil ag Gaelscoil Mhichíl Uí Choileáin i gCloch na gCoillte do mhuintir na scoile, gnólachtaí áitiúla agus an pobal tar éis feachtas mór bailiúcháin sean fón póca, óna tháinig dhá iPad mar thoradh. Bhronn Irish Autism Action na iPads orthu, le n-úsáid ag páistí sa scoil ag a bhfuil ASD (neamhord de chuid speictream an uathachais) acu. Mí Márta seo chaite, sheol an scoil feachtas poiblí don phobal ginereálta lena sean bhfón póca a thabhairt dóibh. Chuir 10 gnólachtaí agus an foireann áitúil athchursáil ón Comhairle Contae boscaí bailiúcháin ar a n-áitreabh ina gcur an pobal a gcuid fón póca. Bhí freagra iontach ón gcomhphobal scoile ginireálta chomh maith. Mar thoradh ar na hiarrachtaí ar fad, bailíodh beagnach 400 fón agus dheonaigh Autism Ireland dhá iPad don Aonad ASD le déanaí mar thoradh. Bunaíodh an rang ASD sa Ghaelscoil i Meán Fomhair 2011 agus anois tá 13 daltaí ó aois trí go 11 ag freastal ar thrí rang. Ceapann múinteoirí agus na cuntóir riachtanais spesialta gur uirlis fíor thábhachtach cumarsáide iad do na ndaltaí. Bíonn deacrachtaí cumarsáide ag an t-uafás páistí a bhfuil ASD acu, roinnt dóibh gan caint ar bith, agus cabhraíonn na iPads seo go mór mar go mbíonn siad lán le 'apps' dírithe ar teanga agus cumarsáid amháin. Is féidir leis na daltaí abairtí sothuigthe a cruthú lena dtuairimí agus riachtanais a chur in iúl. Mhínigh Príomhoide na scoile Carmel Nic Airt go bhfuil na seirbhísí seo á sholáthar acu ón Mean Fomhair seo chaite. Is iad an taon scoil in iarthar Chorcaigh a sholáthraíonn áit bunscoile lán aimsire do pháistí a bhfuil ASD acu. "Tá áiseanna iontach againn, ina measc sheomra Multi-Sensory ar chostas €43,000, Halla 'Occupational Therapy' agus seomraí Teanga agus Caint, chomh maith le múinteóirí agus cuntóirí riachtanais spesialta sa scoil a dhéanann a ndícheall leis na daltaí. Tá buntáistí na iPads feicithe againn ó thús an aonad ASD, ach faraoir níl dhóthain iPads againn faoi láthair do na ndaltaí ar fad. Taímid thar a bheith buíoch as na gnólachtaí áitiúla a ghlac na mboscaí bailliúcháin ar a n-áitreamh agus a bhailigh na fóin dúinn, chomh maith le teaghlaigh na scoile a thug a sean bhfóin isteach dúinn. Tá buíochas spesialta le ghabháil leis an bhfoireann ag an Ionad Athchursála Áitiúl a choimeád sean fón ar leataobh dúinn. Tháinig na iPads níos sciobtha mar gheall ar seo. Is feachtas leanúnach í seo agus arís iarraim ar phobal Chloch na gCoillte a sean bhfóin a thabhairt dúinn ionas gur bhféidir linn níos mó iPads a fháil donár ndaltaí iontach speisialta." Is féidir na fón a fhágáil isteach sna háiteanna seo a leanas; O' Donovan's Hotel, Leabharlann Chloch na gCoillte, Park Leisure Centre, Harte's Spar, Sally's Super Valu, Technology Park, Carbery Milk Products, Irish Yoghurts, Vodafone agus Ionas Athchursála Chloch na gCoillte."